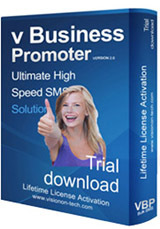 v Business Promoter is fastest and easy-to-use & powerful windows software to send and receive SMS messages. It allows you to send marketing & advertising SMS and receive response SMS from the computer. 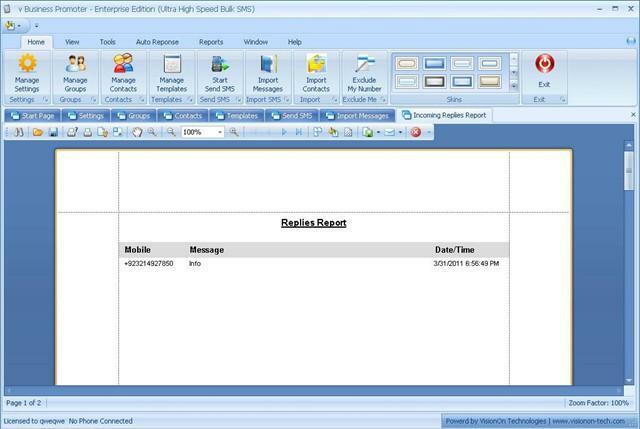 If differs from other desktop texting software which relies on an Internet SMS gateway. Instead, use your existing mobile phone, GSM modem or cellular terminal and connect it to the computer. The connection can be done via a USB data cable, serial data cable or Bluetooth COM port. Designed with bulk broadcasting in mind, v Business Promoter helps you manage your marketing campaigns and send customized messages to your target groups. Since SMS is fast and cost effectiveness, messages like promotion, reminder, alert, special notice or statement are well suited to be delivered by using v Business Promoter. WHAT V BUSINESS PROMOTER CAN BE USED FOR? Run campaigns and competitions & Product Marketing. 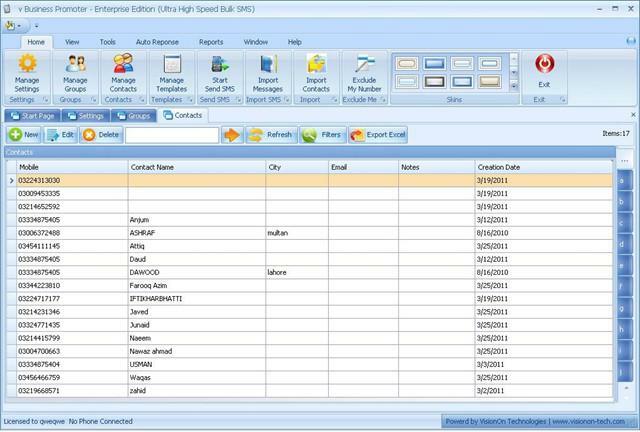 Manage unlimited groups, contacts and templates with powerful search options. 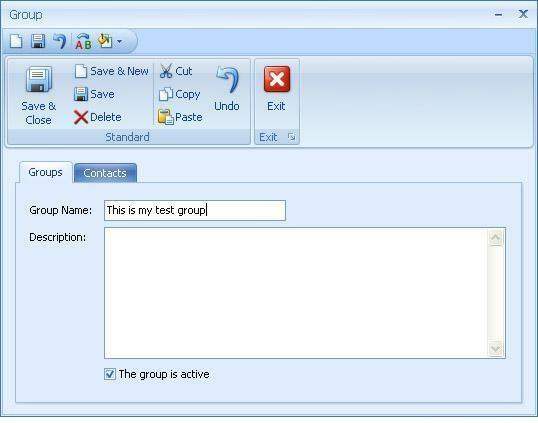 Send daily unlimited SMS to individuals, Ranges, groups or list of phone numbers. 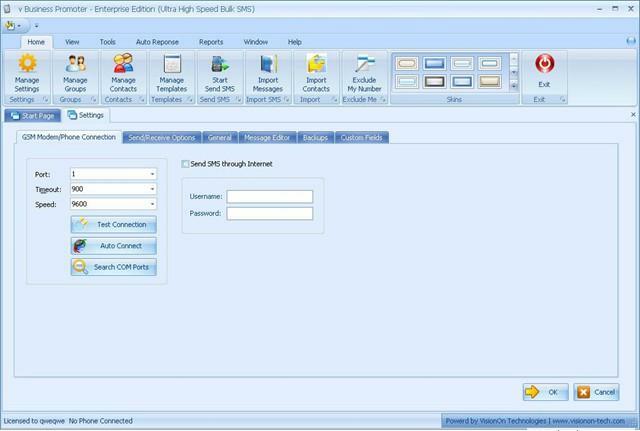 Very Fast SMS Delivery Time [Speed 1000-1100 SMS / hour]. 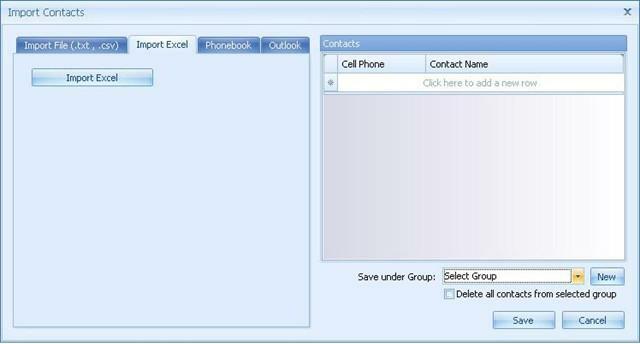 Phone book: Manage your contact list for different marketing campaigns into database, with grouping support. 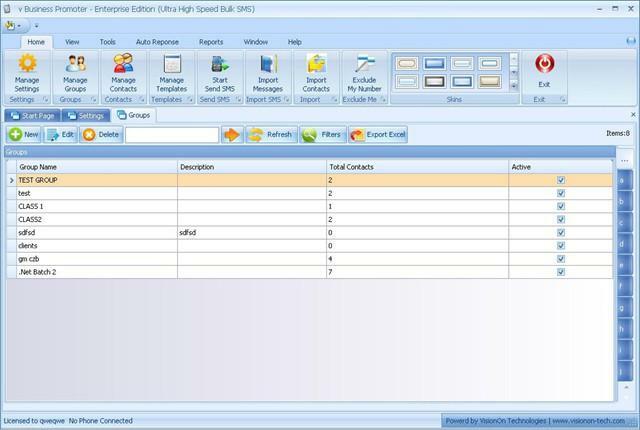 Import existing data from wide varieties of comma separated value, excel, outlook and text file with the “Import Wizard”. 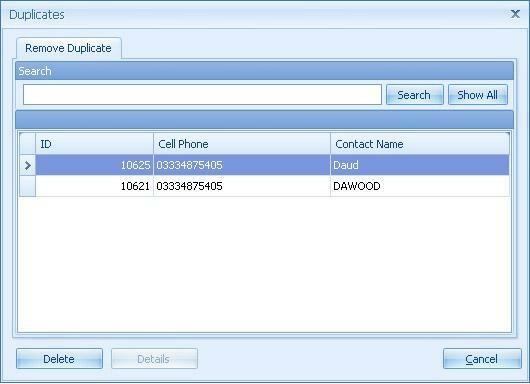 Auto detection & deletion of duplicate Numbers from Contact book & also check duplication before sending SMS. Exclude My Number: System never send SMS on excluded numbers. Prepaid & Post Numbers Serial of all the mobile networks (Mobilink, Ufone, Zong, Warid, Telenor) in Pakistan (City, Network wise powerful search is available). Send in different languages: Support GSM 7-bit and UCS2 Unicode encoding with Auto Encoding Selection. Compose your SMS in many different languages: Urdu, English etc. Urdu Keyboard is also available to compose Urdu SMS. 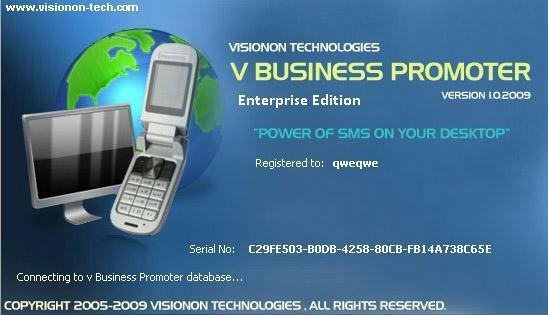 V Business Promoter makes message creation easier and faster in comparison to typing the message on a mobile phone keypad. 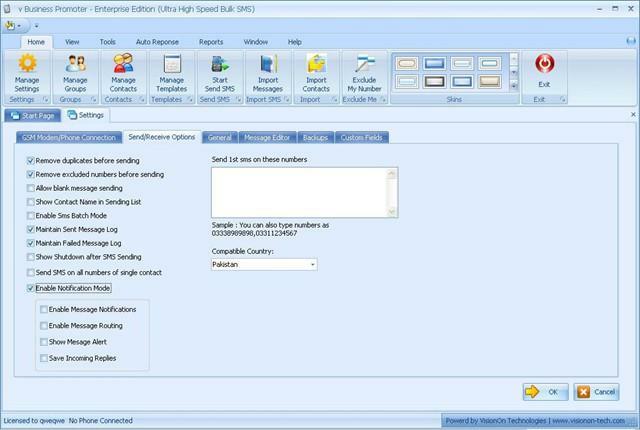 Settings for SMS Receiving, Sending and editor options. Login security for the protection against unauthorized usage. Display Complete Connected device information Manufacturer, Model IMEI Number, Battery Level, Signal Strength and operator etc. 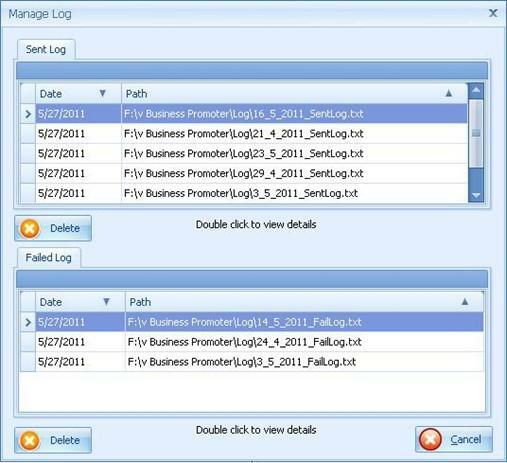 Automatically delete duplicate numbers before sending. Life time License without annual renewal fee. All the features of Basic version are included. 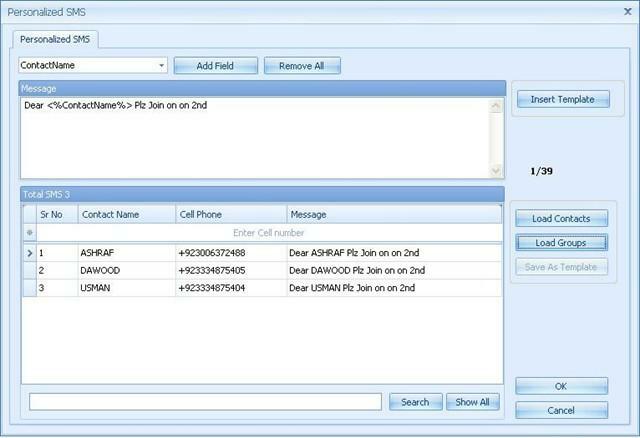 Import contacts & Messages from SIM or Phone memory and also create contact / Message into phone and SIM Memory. Send personalized SMS: Send personalized SMS content to each recipient by inserting Contact Name from the phone book automatically. 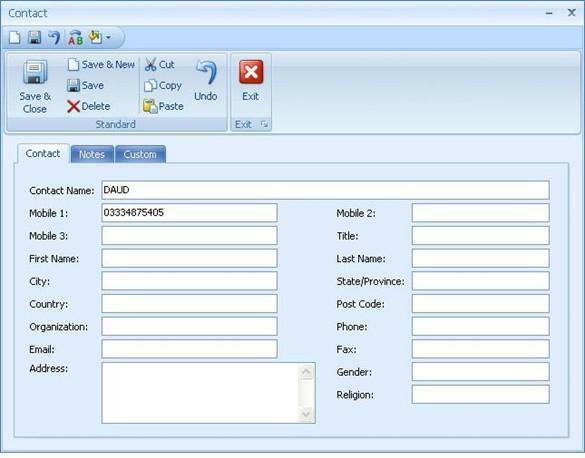 Phonebook backup & retrieval on our server with strong security. Multiple device Connectivity, up to 3 devices. All the features of Lite, Basic & Standard version are included. 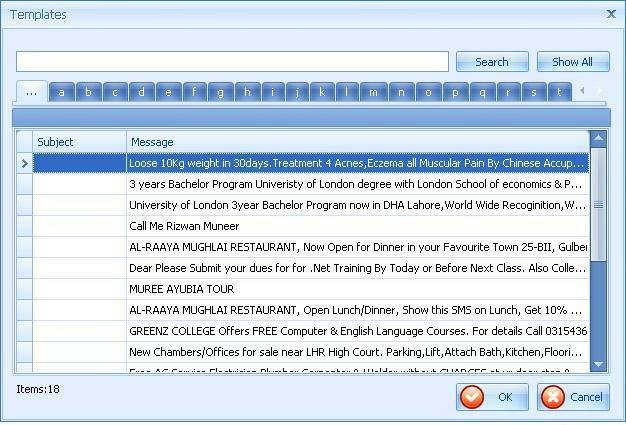 Receive incoming SMS into the computer (Just Like msn popup window) & can send reply message. 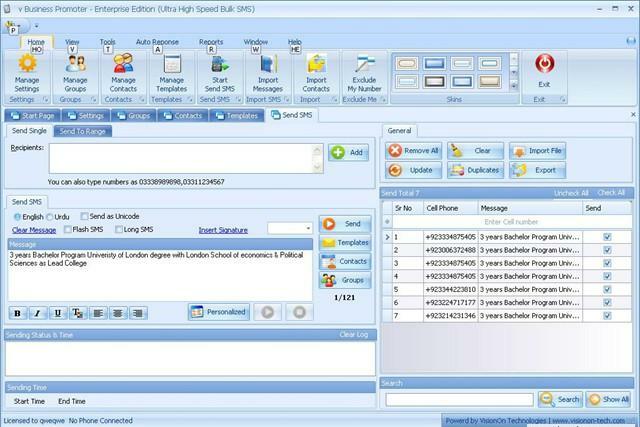 Received message can be saved in database with Message Description, mobile number & date. 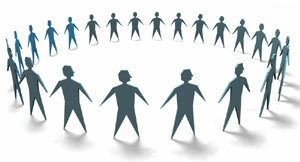 Create Campaigns for business promotion. Multiple device Connectivity, up to 15 devices. Auto replies to incoming SMS for pre-defined keywords and reply messages. Faster information stored & retrievals in safe manners. No registration, no pre-pay and no need to buy SMS credit before start, no SMS gateway required. Utilize your existing mobile phone and Computer.